PARTIAL GALLERY. 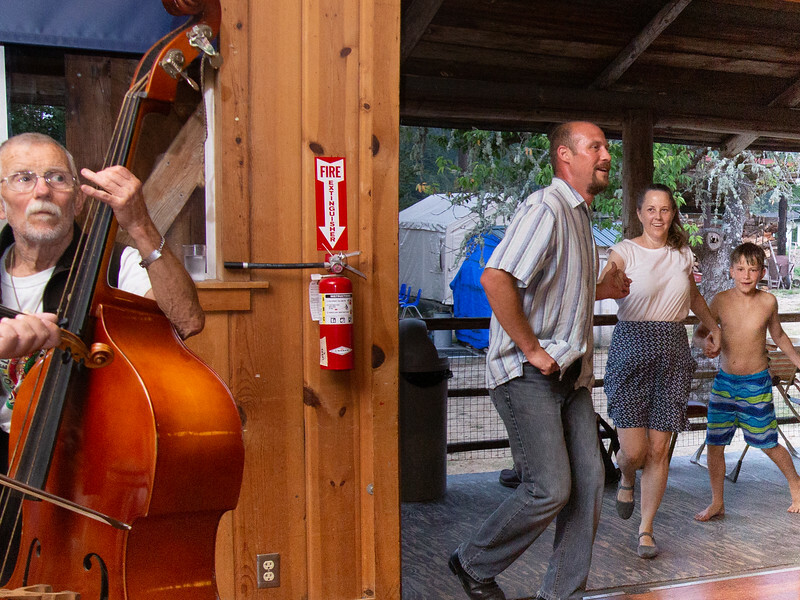 Hungarian music and dance camp held at All Saints Camp, on Raft Island on Puget Sound. I am only starting to post photos in this 2018 gallery. More are to come. Laci lead the line through the kitchen and out along the porch, returning intp the dance hall here, past the band.